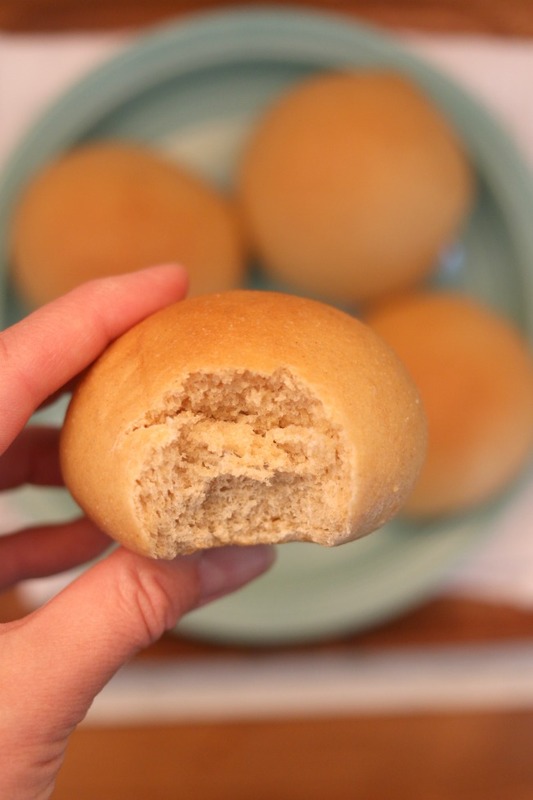 100% Whole Wheat Dinner Rolls–fluffy dinner rolls that are made with whole wheat flour. The perfect sidekick to a bowl of soup. For years my sisters have been talking about a whole wheat bread recipe that they call “Melinda’s Whole Wheat Bread.” They tell me about how great it is and how I should make it. I would always just think to myself “why would I make bread when it is is so easy to buy a $2 loaf at the store?” Well I have changed my ways. For some reason I decided to try out the bread recipe a few months ago. I have been making it almost weekly ever since. Last night I had a little late night snack and cut a slice of this bread and I said to my husband, “this is the best whole wheat bread that I’ve ever had.” He agreed. Now you’re probably wondering why I’m talking about bread when you see a picture of rolls. Well, the bread recipe typically makes 4 loaves of bread. So instead of making all the dough into bread loaves I started experimenting with making some of the dough into rolls. 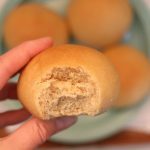 What resulted were these perfectly soft and fluffy 100% whole wheat dinner rolls that are go perfect with a warm bowl of soup. Or sometimes I cut the rolls in half and put a little mayo, mustard, pastrami and cheese on and make little sandwiches for my kids lunches. So it’s really up to you. You can make the dough into bread or rolls but either way they’re going to be good. For the recipe that I listed below I paired down the original recipe that made 4 loaves of bread to make just one and one batch of rolls. 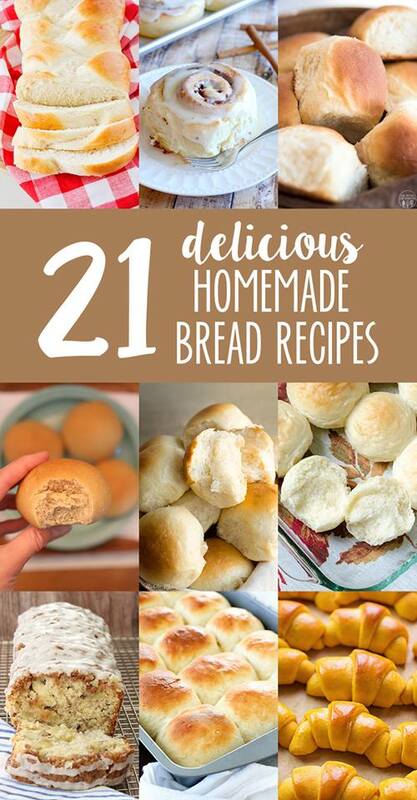 Today is national homemade bread day! Could there be anything better than warm homemade bread out of the oven with butter and honey? It is truly the greatest treat ever. I could almost give up chocolate for warm homemade bread. Here are some other awesome recipe from my fellow food bloggers that you’ll want to check out! Hi Holly, Yes I will share it soon. Holly I just posted the recipe that makes 4 loaves! There is nothing better than a nutty 100% whole wheat bread/roll! These look absolutely perfect, pinned!